20 degree weather - check! Beach front view - check! I am off to San Diego tomorrow morning for some event planning seminars as part of the Special Event Show. 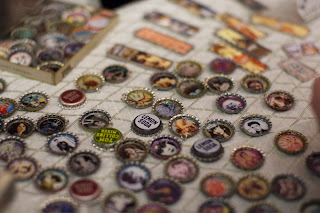 Since I will be down there, I figured that I will schedule a meeting with the North Park Craft Mafia. 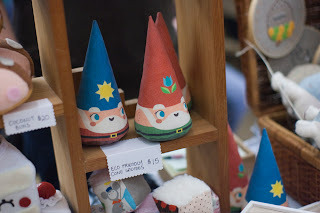 Teresa from NPCM sent me a list of crafty places to visit while I am down there. I will be back on Friday. Visit our other blog for updates while we are away. 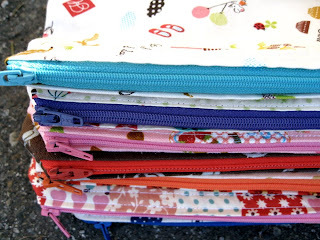 I couldn't blog without a picture, so enjoy some zip pouches! I'm a winner! (spoken in the tone of Luigi from the Mario Brothers). 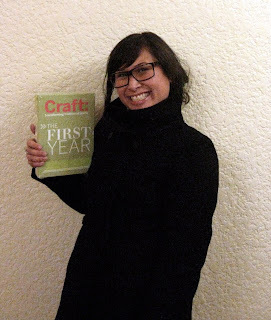 This is so long over due, but here is a picture of the winner of the Craft Magazine boxed set! Thanks to Craft Magazine for their lovely prize donation. 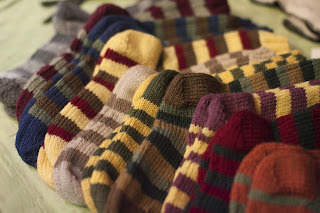 Got Craft Flickr update is complete. Go check it out on the right side! 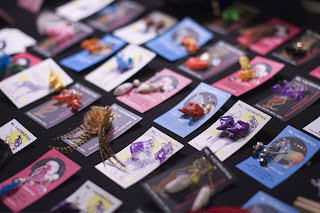 This seems like such old news, but with so much going on, I haven't had the chance to update the blog! Three new members joined the family this year in addition to the three previous members. 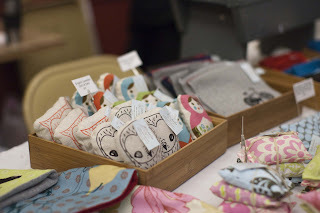 We are all independent business owners who share the love of craft! Check out their website here for upcoming events! 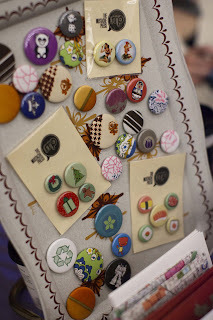 some snaps from the holiday Got Craft event... more will be posted on the flickr account soon. Enjoy! It feels like just yesterday the price of a stamp was up to $0.52. As of today, the price of a Canadian stamp is now $0.54. You can read all about the changes on the Canada Post website. Canada Post also wanted to double the rates for all over size letter post and packages, but decided not to. Well.. at least for the moment, the prices will remain the same. 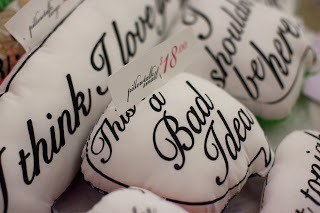 As an Etsy seller and buyer, I already think shipping is pretty ridiculous. How can we compete with International and US sellers? Bah. Scout Magazine is our new media sponsor! We are tickled pink for them to join our other supporters including the Mustache Press, the Beautiful Project and Craft Magazine. 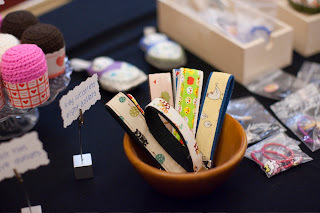 Are you interested in being a sponsor of Got Craft? Contact us for more information. 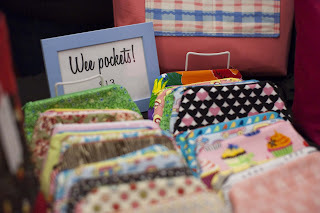 Its time to have a crafty night again! 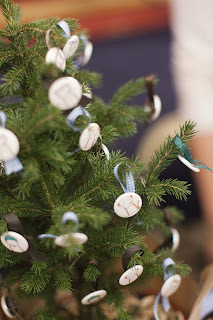 Join us for the Vancouver Craft Mafia’s “THE HOLIDAYS ARE OVER AND NOW I CAN CRAFT SOMETHING FOR ME” night. 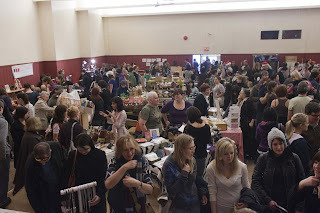 Hang with the members of the Vancouver Craft Mafia for a cup o’ tea, some music , treats and fun! We are planning a special make-a-long just for you! 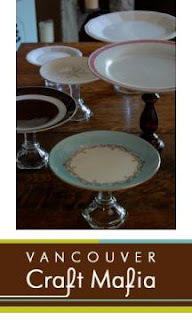 Bring a candlestick holder or small candy dish and a plate (both easily found at a thrift store) and our own VCM member, Wendy, is going to teach us all how to make a one-of-a-kind Cake Stands! We’ll supply everything else you’ll need! Before you come to the meeting, balance the plate on top of the candlestick just to make sure the two look good together! Anyone is welcome to the meeting. Invite your friends to come along with you! In addition to the Cake Stand supplies (plate and candlestick), please bring your own project and supplies as we won’t have any supplies on hand, and please RSVP by Sunday January 4th so we know how many chairs, etc to have on hand. See you there! 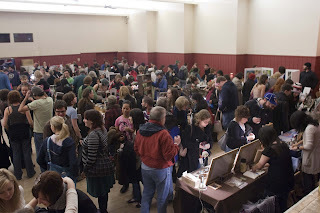 For more information about the Vancouver Craft Mafia or their events, please visit their website here. Hope to see you there!